We will be the first ones to tell you, that if you can't spend a lot of money on a build, you can cut corners on the case. There are just so many decent, feature rich cases in the budget price range, it's really quite easy to save money here. The question then is what case do you buy when you have enough extra cash to spend on it? Do you look for the best features or the best style and materials? What about a silent chassis? Those are all very fair questions. So today, we are going to look at the NZXT H Series H630 and see if it has the answers we are looking for. The NZXT H630 comes with a lot to offer with a feature list that includes some surprises along the way. This is a full-tower case with support for ATX, Mini-ITX, Micro-ATX, XL-ATX, EATX (347 x 272 mm) motherboards, room for up to eight 2.5/3.5" drives, with additional room for two more 2.5" drives, two external 5.25" ODD bays, and room for up to eleven 120 mm fans. The fan ports, as you would expect, will also support up to nine 140 mm fans and/or four 200 mm fans. While support for a large variety of building options is nice, it is also cool if the case comes with some useful goodies that set it apart. Sometimes, this could be extra fans, thus, the NZXT H630 comes standard with one 200 mm front intake fan and one 140 mm rear exhaust fan. The internal HDD system is broken into 3 HDD cages (two with 3 slots and one with 2 slots). 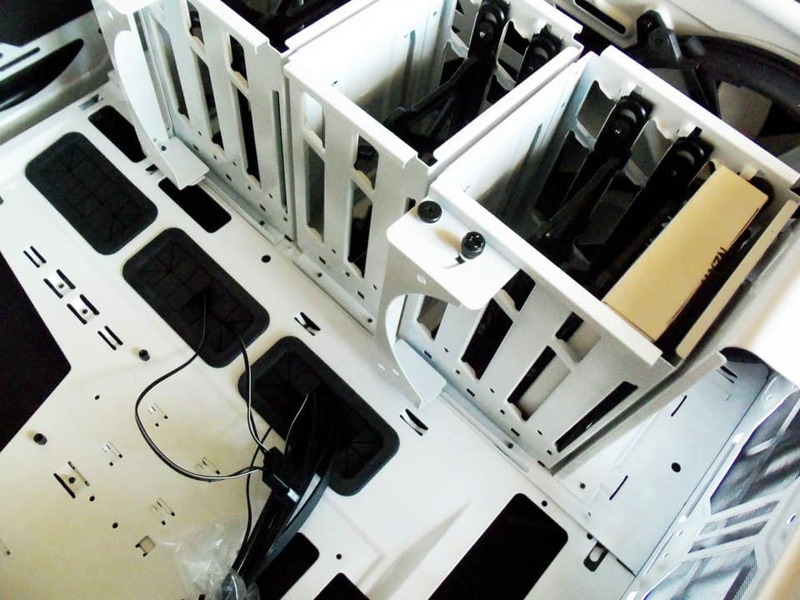 The cages can be removed or reconfigured to fit your needs, whether you need room for an extra-large GPU, front mounted liquid cooling solution, or to minimize airflow restrictions. The special features of the H630 do not become apparent until you remove the side panel. You will then see there is 0.25" thick sound damping material on both side panels, front, and top of the case. There are also LED lights on the rear I/O and rear expansion slots. The H630 also has a 100% steel frame construction with plastic accents. The side panels, case frame, and all internal components are steel. 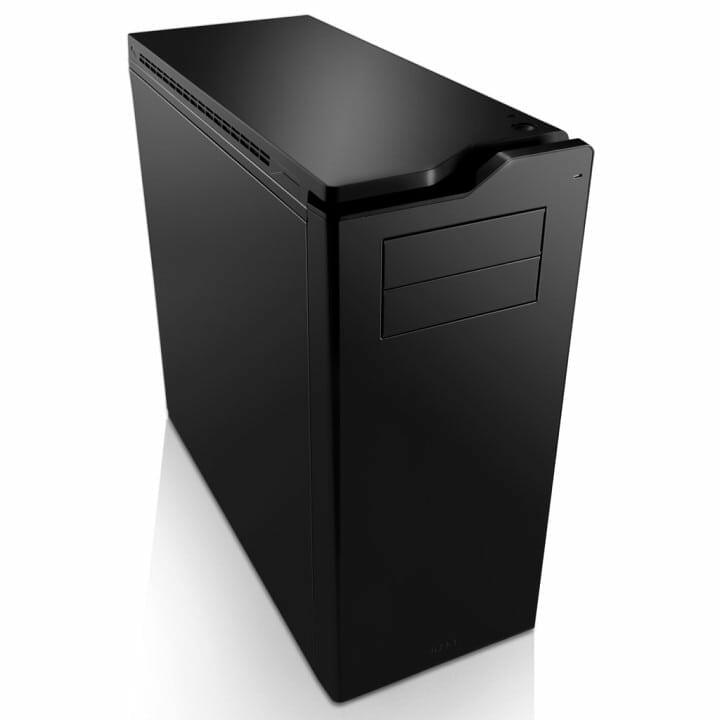 The top and front panels have a steel outer hull with an internal molded plastic to accommodate the front I/O (two USB 3.0, two USB 2.0, rear light switch, SD card reader, audio, power, and reset) and ventilation. This no-nonsense approach leaves the H630 at a back bending 30.86 lbs empty (though still not quite as heavy as the mind bending 50 lbs of the CoolerMaster Cosmos II), but also is the foundation of a rock solid case. The NZXT H630 is the new flagship of the H Series and is ready for anything. 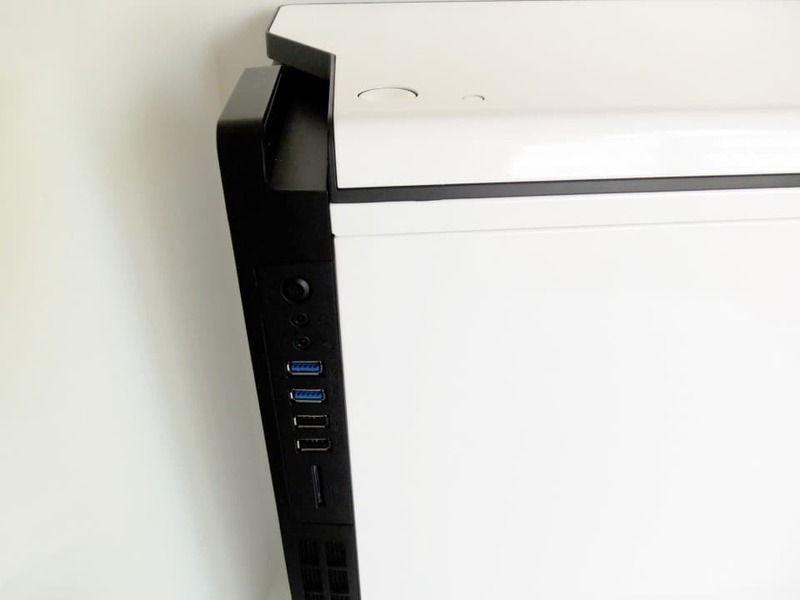 You can find this case available now in glossy white like the one in this review, or in a matte black for as low as $129.44 USD. Lets first take a look at what you are going to receive in the box and then get into building and testing. This time we actually have something to talk about when it comes to the included accessories. Of course you have your standard fare which includes the instruction manual, case hardware, and warranty information. In addition NZXT reinforces their brand with a small booklet of other items they offer that would match your new H630 case. This includes power supplies, cable kits, fan controllers, other cases, etc. We think all brands should be doing this. There are a few additional hidden bonuses such as the 10 port fan hub pre-installed behind the motherboard tray. This hub comes with three 3-pin fan extension cables (two already in use) which are great for cable management in such a large case. The hardware pack is divided into several well labeled smaller zip lock bags. This makes everything easy to identify and organize. 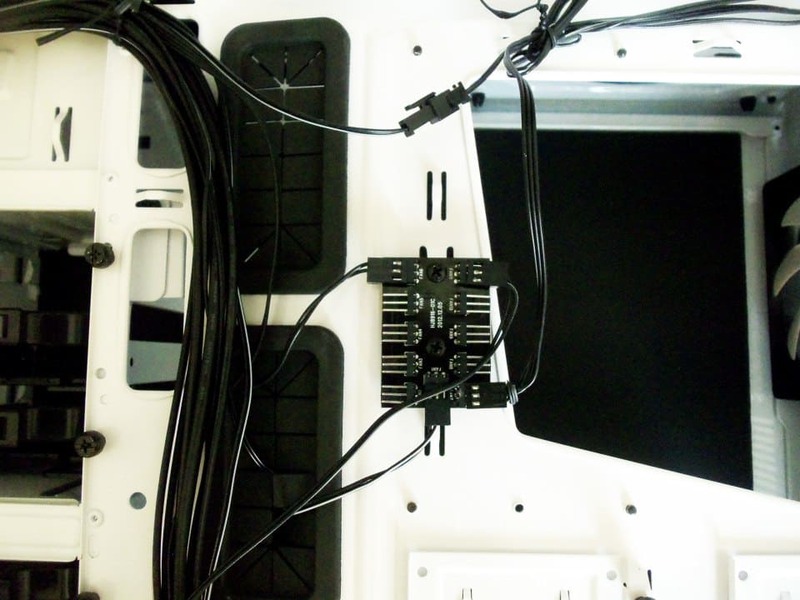 The hardware pack also includes nearly 2 dozen cable ties for cable management. We love to see companies include the little extras with their products as it improves the whole experience. It is good to see a company take the extra step of pre-installing an accessory, including plenty of cable ties, and individual packing each set of screws. We will see if this attention to detail carries over to the case itself.